﻿ Palm Bay's Premier Personal Injury Lawyers | Couture Law P.A. If you or a loved one has been the victim of a serious car, truck or motorcycle accident in Palm Bay or elsewhere in Brevard County, hiring an experienced personal injury lawyer helps ensure that your rights are protected – and defended. Couture Law P.A. has pledged to represent people, not insurance companies or corporation. Our clients range from the severely disabled to those with soft tissue injuries. There is no fee if we do not recover money damages for you. Our commitment to our clients has led to the creation and implementation of our Personal Injury Client Service Pledge. Our clients have our commitment that we will always be available to talk about your case and keep you informed of the status of your case. We believe that our clients deserve the best from us and the highest quality of legal representation for their injuries. 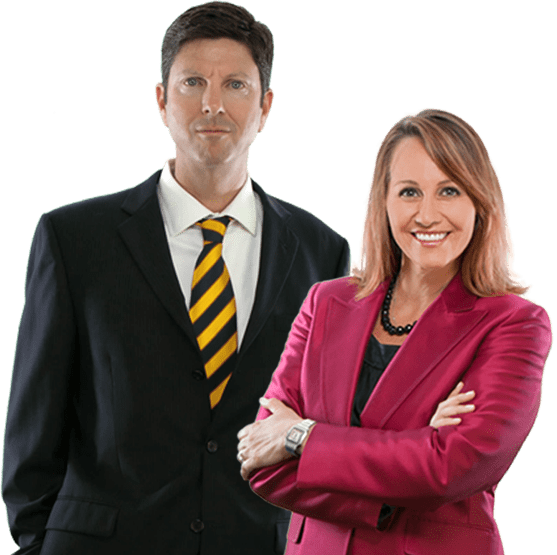 Our attorneys would be honored to assist you with your personal injury law claim in Melbourne or Palm Bay courts. While the physical trauma that a victim suffers during an accident could be severe – especially in accidents involving semi trucks – mental anguish often becomes amplified afterward if the accident was caused by the reckless behavior of another Palm Bay driver. Our lawyers will help hold the culpable parties responsible by attempting to obtain the maximum financial compensation allowed under Florida law. From amusement park accidents to vehicle rollovers, injuries caused by another person's carelessness are inconvenient at best and catastrophic at worst. While you are dealing with medical treatment and mounting bills, the other party’s insurance company is doing its best to minimize your injuries and offer you the lowest possible settlement. That’s where we come in. Our injury attorneys work tirelessly to preserve your rights and help you regain your health and financial stability after your accident. Obtain medical care immediately if your injuries are serious. If not, it would benefit your case greatly if you begin gathering evidence pertaining to the accident right away. This could include photographing your injuries if they are visible, as well as snapping photos of the scene or damaged property. Obtaining contact information and personal accounts of the accident from eyewitnesses also could help strengthen your case. Never admit fault or sign documents presented to you by representatives of the other party until you seek legal advice from a PI attorney. To win an injury case, your legal team must prove that you suffered damages in the accident, and that the other person(s) involved caused them due to recklessness or negligence. Most types of accidents – including dog bites and product liability – can become injury cases; however, car accidents are an exception. As a no-fault state, Florida requires personal injury protection (PIP) insurance coverage for all drivers so that each can pay for treating his or her own injuries. Under Florida law, a personal injury claim can only be filed following an auto accident if the injuries meet certain criteria, which include paralysis or significant disfigurement. If the victim is severely injured in an auto accident involving a DUI, the negligent party might face criminal charges before a civil suit can be filed. Your injury attorney and experienced team of experts will meticulously investigate the evidence pertaining to your case. More than one person – or even an entity like a corporation – could be held liable for your injuries. If you win your case, the court will assign each entity a percentage of fault. This percentage determines how much each party must pay. The court decides the amount of your compensation based on economic losses you’ve suffered as a result of the accident. This could include past and future lost wages and medical bills. The court also assigns a dollar amount to your noneconomic losses, which could include anxiety, depression and other mental distress, as well as with personal relationships, like loss of services. After you retain an attorney at Couture Law P.A., we will take care of your case so you can focus on healing and recovery. Whether we are able to negotiate a settlement or must take your case to court, we will do what is necessary to help you recover financially from this traumatic event. Our injury law attorneys represent clients throughout Brevard County; Melbourne and Titusville. SMALLER CASE LOADS. EXTRA PERSONAL ATTENTION. BIGGER RESULTS.